A spare room can be so much more than a catch all for extra furniture. And where do you hide the black exercise equipment? 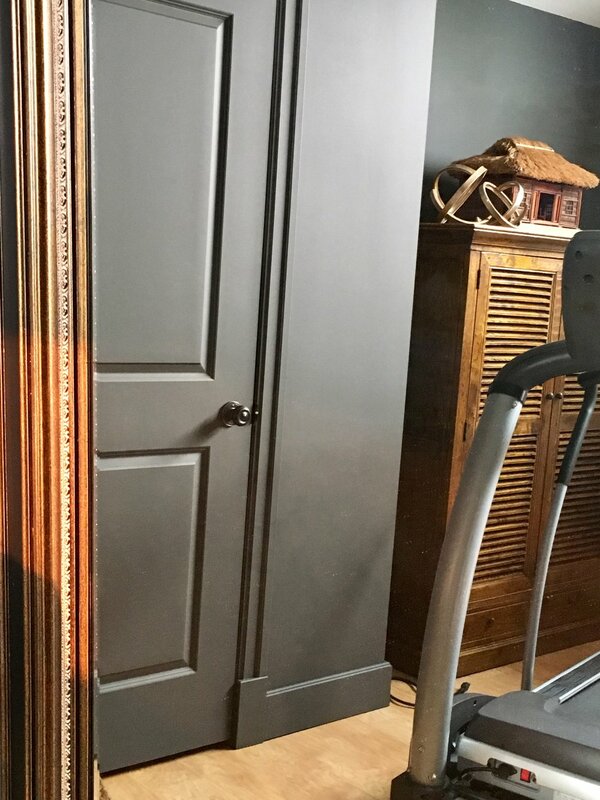 In this space...in plain sight by painting the walls black, adding an unexpected ornate workout mirror and using hand weights as art. 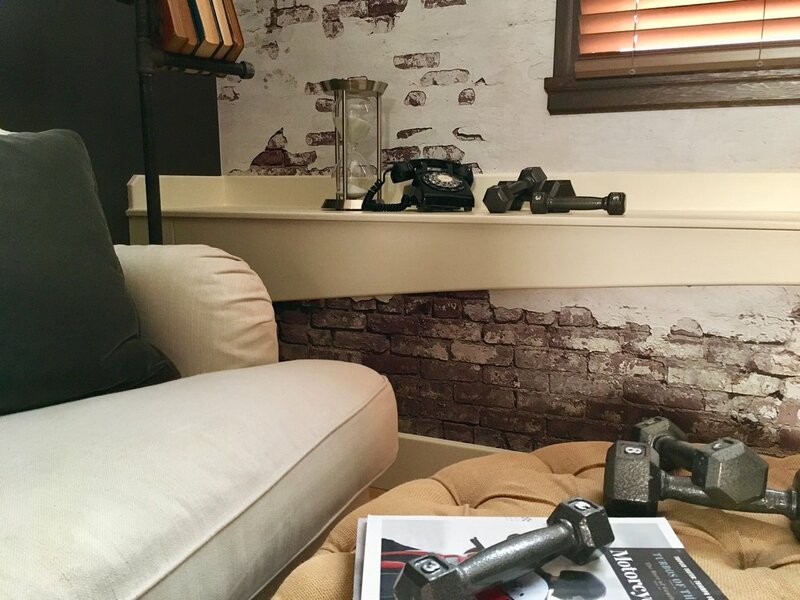 The crumbling brick wall mural is the perfect backdrop for the space and gives the room texture, interest and creates a moody industrial vibe.